Although her name sounds almost as exotic as you’d expect from some yoga teachers, Ana Pilar’s name is actually Spanish for “pillar of grace”. If you know her or have taken her classes, you’ll understand how this also reflects her personality and teaching style. Ana Pilar Cruz is half Puerto Rican and half Scottish. Her extensive travels and living abroad have given her an open-minded outlook on life that has been invaluable to both her teaching and personal yoga practice. Bilingual, she has a special way of sharing her talent in teaching and exploration of yoga with both English and Spanish-speaking students. Ana Pilar first discovered yoga as many of the younger generation does now, in college, while studying Film and Art History at Emerson College in Boston. It wasn’t until she moved to Austin in 2000, however, that she discovered her dharma. Yoga has been and continues to play an important role in Ana Pilar’s life during periods of growth and change. Her unique relationship with regular, private, and teacher training students, as well as the countless members of the yoga teacher community, inspire her to evolve and further define her own practice today. Ana Pilar holds an Experienced Registered Yoga Teacher/ERYT-500 Certification through Yoga Alliance. You’ll find her teaching Hatha Beginners Series classes at Yoga Yoga in Austin and teaching teachers in Yoga Yoga’s Teacher Training program. She also teaches regular classes like Hatha and Hatha Flow. Ana Pilar’s classes are great for students who are new to yoga and need a demonstration and explanation of the postures, as well as for experienced students who want to investigate movement on a deeper level. Her Hatha Star and Hatha classes are gentle enough for students who are working with limitations, while her Hatha Flow classes are more dynamic, typically involving inversions and more advanced breath work. Inspired by the Viniyoga method, Ana Pilar helps her students to connect the breath with movement and use postures that protect and strengthen the lower back, a vulnerable part of the body that often needs attention. Before coming into poses and holding them, she first has students open up their bodies with dynamic motion. Her classes end with a pranayama, or breath control exercise, so that students leave with calm, focused energy. To contact Ana Pilar go here. Mehtab Benton is the founder of Yoga Yoga one of the largest and most successful yoga centers in the country, is a dedicated yogi who is also an incredibly insightful Vedic astrologer, preeminent gong teacher and successful author of over 100 articles and 11 books including the recently released Gong Yoga: Healing and Enlightenment through Sound. 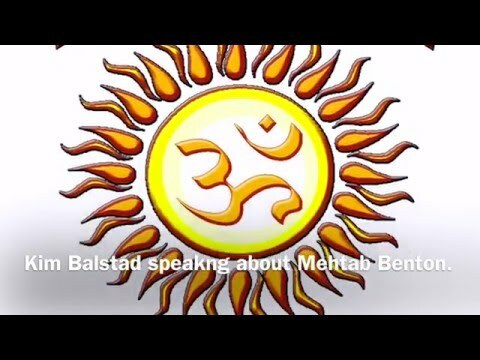 Mehtab is one of the leading Kundalini Yoga teacher trainers in the United States. He has led 200-hour Level 1 Kundalini Yoga teacher trainings for the last 20 years. Mehtab’s name given to him by his teacher Yogi Bhajan, literally translated, means Light of the Moon, so it is fitting that he has become one of the most insightful and approachable vedic astrologers around. His readings, available in person or via phone, are uniquely tuned to each individual and can focus on anything from the spiritual to the practical decisions one needs to make in day to day life. Because Mehtab has been practicing yoga for over 40 years, his intuition is often very accurate and many find his insight invaluable to their personal growth. His light-hearted sense of humor and deep immersion in a spiritual practice gives you a relaxed feeling of confidence and ease. Mehtab is available for astrology trainings and workshops in the United States and internationally. To host Mehtab, please contact him for available dates and details. To book an astrology reading with Mehtab please click here. Mehtab is the originator and author of Gong Yoga, the first book on using the gong in the practice of yoga. He has trained yoga teachers, therapists and musicians around the world in the art of playing the gong. He created the DVD instructional course How To Play the Gong for Yoga, Meditation and Healing. His newest book, Teaching Gong Yoga: Theory and Practice, is the first comprehensive book on using the gong in all the practices and traditions of yoga. Mehtab has taught Kundalini Yoga since 1974 and has trained hundreds of Hatha and Kundalini Yoga teachers. A certified Vedic Astrologer and trainer, Mehtab also offers astrology readings for clients to help them in their selection of Planetary Gongs. A long-time resident of Austin, Texas “The Music Capitol of the World,” Mehtab has lectured on the Gong in the University of Texas Master Teacher series and has taught Yoga of Sound classes since 1998. Mehtab is available for gong trainings, workshops, and concerts in the United States and internationally. To host Mehtab, please contact him for available dates and details. Mehtab is now offering his world renowned gong training online. Now you can enjoy gong training from anywhere in the world. Mehtab Benton is the founder of Bookshelf Press which specializes in books about yoga, health, Eastern astrology, meditation, and literary works of fantasy and high imagination fiction. He is a dedicated yogi who is also an incredibly insightful Vedic astrologer, preeminent gong teacher and successful author of over 100 articles and 12 books. To check out Mehtab’s books go to The Aum Nation Library. Trybe Yoga offers classes seven days per week. The teachers at Trybe Yoga teach a variety of yoga styles, from restorative yoga to all levels of flow classes. The studio also provides workshops, retreats, trainings and off-site classes. Classes are open to experienced yogis as well as beginners. Jen Daugherty, owner of Trybe Yoga, is a dedicated yoga teacher and mentor. For Jen, the fitness and health industry is among her most essential passions and has been her profession for 10 years. Her devotion to the practice and teaching of yoga is demonstrated in her classes, where she weaves her engaging stories into a challenging and supportive experience. You will leave her classes feeling revitalized, connected, and inspired. View the full class schedule here. Join Two Birds Yoga Training for your ​yoga teacher training experience. Two Birds Yoga Training offers programs in various locations throughout the United States and abroad. 200-hour and 500-hour yoga teacher training based in Eugene, Oregon, with arms extending nationally. Two Birds Yoga Training’s mission is to provide you with a well-rounded base line of understanding that you’ll be able to apply to your own comprehensive yoga practice and teaching. This is why, as you review the biographies of the faculty, you will discover that they do not all teach the same style of yoga, nor do they practice in the same meditative lineage. Yet, they all come together as a means to deepen the conversation about safe and effective yoga practice and teaching. Each faculty member has spent years coming to her own hard-won research, thoughts, practices and points-of-view by pursuing myriad styles and ideas. They will introduce you to common yogic principles founded upon documented historical accounts of yoga practice, in a scholarly and unbiased setting, for your consideration. Textual reference will include The Yoga Sutra of Patanjali, The Bhagavad Gita, The Hatha Yoga Pradipika, The Vedas, Puranas and Upanisads. And, Two Birds will introduce you to a body of knowledge based on modern scientific exploration of the benefits of longterm yoga practice. Two Birds Yoga Training believes that ultimately, it is through your own reflection and through your personal vision and practice of these teachings that you will teach — and not through one set of rules laid down as dogma, as the “right” way. LIBBY COX – Program Director. After years of continued service and contributions to teacher trainings such as Yoga Yoga, EveryOne Yoga School and Global Yoga Shala, Libby Cox is now the director of Two Birds Yoga Training, a 200-hour and 500-hour Registered Yoga School with the Yoga Alliance. The curriculum for Two Birds Yoga Training draws from many different yogic disciplines and philosophies, as the faculty roster is populated with a diverse and erudite group of educators and yoginis. Of particular note are Libby’s studies with Patty Townsend, Judith Lasater, and Douglas Brooks, which will shape much of the philosophy behind the curriculum. Townsend developed ‘Embodyoga’, an approach to movement steeped in anatomy-driven, developmental movement principles of Body Mind Centering (BMC). Libby uses these principles to help students discover and release underlying causes of dysfunctional movement patterns. Libby’s studies with Judith Lasater, certified Iyengar teacher and physical therapist, have given her the skills to work individually with students on shoulder, hip and lower back health. Dr. Douglas Brooks, PhD, introduced her to Rajanaka Tantra, a body of ideas that emphasize the invaluable education of everyday human experience. Libby works with students, using the vision of yoga philosophy, to help them gain perspective, presence and resilience through life’s joys and challenges. RACHEL HECTOR has been in pursuit of her PhD in Applied Kinesiology at the University of Texas at Austin, and is driven to teach anatomy for Yoga, with a passion for injury prevention and personalized practice. ANA PILAR CRUZ will bring her years of study with Gary Kraftsow and the American Viniyoga Institute to bear upon posture and breath practice, in conjunction with her interests in Tantric meditation and Indian mythology. DELORA FREDERICKSON will give you in-depth perspectives and practices that will fortify your understanding of anatomy, yoga for women’s health and Kundalini yoga. You may find it helpful in your consideration of this program, to familiarize yourself with these teachers, as well as their lineage- and research-based approaches to yoga as a way of life. L​ibby Cox is an ERYT 500, a mother of twin boys, an educator and a dedicated student of the body. With degrees in art, dance and education, a 17-year yoga practice, and a penchant for storytelling, Libby’s teaching approach is passionate, compassionate, and witty. Teaching yoga since 2004, Libby has served on faculty in yoga teacher training programs in the US and abroad since 2010, drawing upon her studies from numerous styles of yoga and teaching approaches in order to meet the needs of yoga students and aspiring teachers alike. Most notable are Libby’s studies with Patty Townsend, Judith Lasater, and Douglas Brooks. ​Townsend developed ‘Embodyoga’, an approach to movement steeped in anatomy-driven, developmental movement principles of Body Mind Centering (BMC). Libby uses these principles to help students discover and release underlying causes of dysfunctional movement patterns. Libby’s studies with Judith Lasater have given her the skills to work individually with students on shoulder, hip and lower back health. Dr. Douglas Brooks introduced her to Rajanaka Tantra, a body of ideas that emphasize the invaluable education of everyday human experience. Libby works with students, using the vision of yoga philosophy, to help them gain perspective, presence and resilience through life’s joys and challenges. Libby recognizes that to be a knowledgeable instructor one has to understand the world of yoga as a whole and not be closed off to any yoga experience, knowledge or practice. It is through this knowledge, Libby discovered, she stays grounded in her personal practice. This combination of studies has sustained Libby’s long time love of connecting the exploration of body-mind and breath to invigorating, well-informed creative movement. She also loves the support and inspiration that grows out of being part of a yoga community, and seeks to share her love of yoga as a philosophy that nourishes the capacity for creativity and resilience on life’s paths. A recent transplant in Eugene, OR, Libby teaches for Balanced Hot Yoga. She lived in Austin, TX, for the better part of 15 years, and is a teacher trainer and national presenter for Yoga Yoga. Libby also leads retreats and travels with One Yoga Global. For information on upcoming trainings, click here.